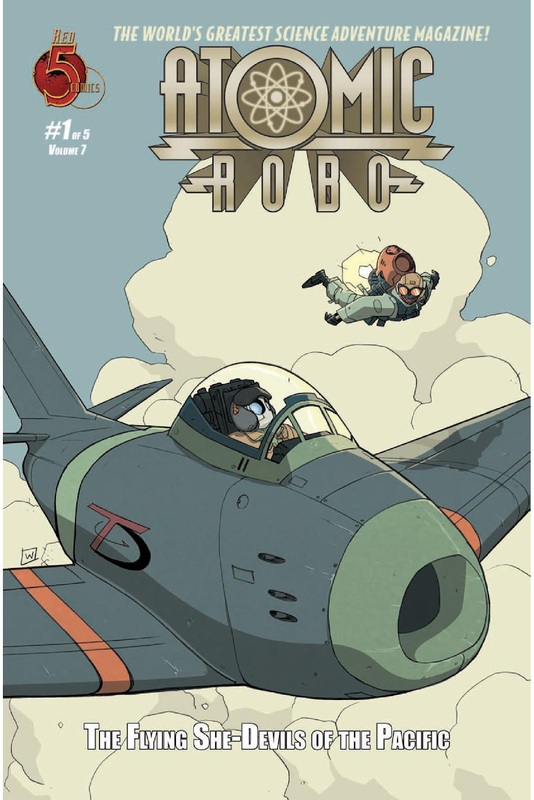 The Fellowship was fortunate enough to obtain a copy of ATOMIC ROBO: FLYING SHE-DEVILS OF THE PACIFIC #1 from Red 5 Comics. The story is by Brian Clevinger with art by Scott Wegener. FLYING SHE-DEVILS OF THE PACIFIC definitely has that retro vibe like THE ROCKETEER books. I like Scott Wegener’s art style. There is a sense of familiarity, yet a uniqueness to his art that I find kind of cool. This was a solid, fun and entertaining book to read with a some humor thrown in for good measure. I am looking forward to reading the upcoming chapters to see where this story goes. ATOMIC ROBO: FLYING SHE-DEVILS OF THE PACIFIC #1 is in comic stores and available at www.red5comics.com.